Copyright © 2016 by RF Datacom Inc. All rights reserved. RF Datacom's program allows manufacturers to rapidly accelerate revenue by leveraging our vast network of active wireless networking customers. We use an efficient, yet very effective sales model by representing multiple manufacturers' product lines into a common group of buying customers. This allows our sales professionals to see more customers while significantly lowering our manufacturing clients' cost per sales call. Our customers enjoy RF Datacom's ability to discuss multiple solutions in a single visit. Our business development and sales team is comprised of professionals with long term relationships in the best accounts. Lower Sales Force Costs - use RF Datacom to significantly lower sales costs while increasing overall revenue and profits. Does you company have under-performing and overpaid sales reps? RF Datacom has the proven solution! Supplement Your Existing Sales Team - want to add a sales representative into a new territory or market? We can provide top notch talent. New Market Entry - manufacturers use RF Datacom for brand awareness, business development and early sales. Does your company want to increase carrier sales or win Federal Government / DoD business? RF Datacom can take your company there. Product Launch - RF Datacom introduces new products from beta stages through early introduction and general market availability. We reach a broad range of customers in a short time period, creating product awareness and early revenue. Expand Vertical Markets - manufacturers with established product lines can reach new markets and customers. Develop Strategic Relationships - is your company seeking to do business with specific companies? We can help. OEM Sales - is your company seeking to sell equipment via OEM relationships? RF Datacom has established numerous successful OEM relationships for our clients. 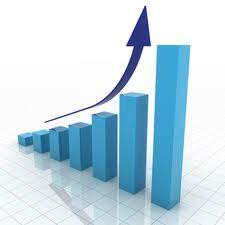 If your company would like to rapidly grow North American revenue, please contact us. We'll be happy to design a program that will help your company reach its full revenue potential.